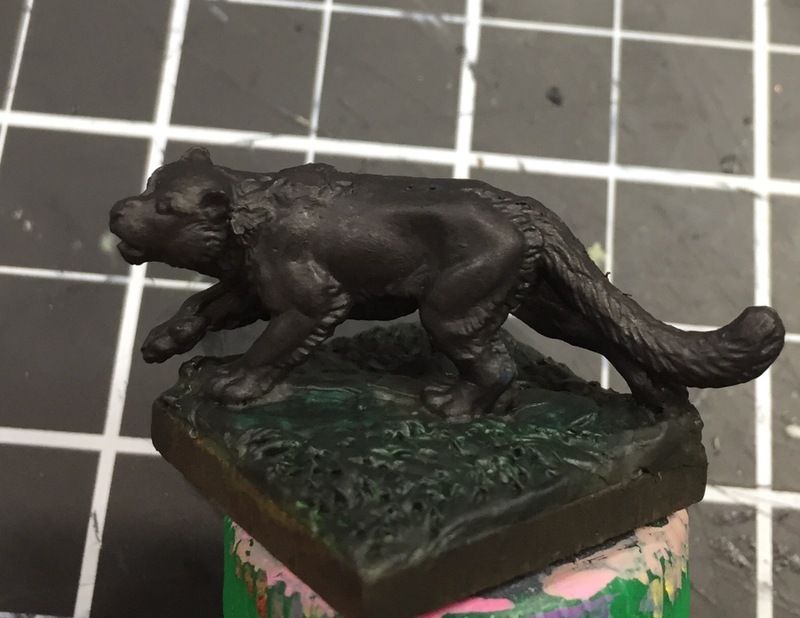 Find a fox figure big enough to be a mount - will need to be about 1 1/2 to 2 inches long. Great, looking forward to seeing what you will come up with. A few days ago I stumbled upon a video sequence of Vin Diesel and Laura Bailey playing DnD with a few others. Since then I cannot see this abbreviation without thinking that the game should be renamed Dungeons and Diesel. A bit more work I did before dinner, all the green stuff work done. So far, a fun little project with no stress. Just doing it for fun and not for any kind of contests here, means I can play around a bit more and figure it out as I go. I've been doing a lot of tabletop stuff for the same reason. No pressure, and it has been helping improve my brush control. It's nice and relaxing to me. This is the 2nd saddle I've done, the first was a skeleton on a large spider about 2 years ago. I'm pretty happy with how it came out. Right now I'm working with the liners to prime/basecoat the figures. Really, I want to spend probably another hour or two on the group and call them good. 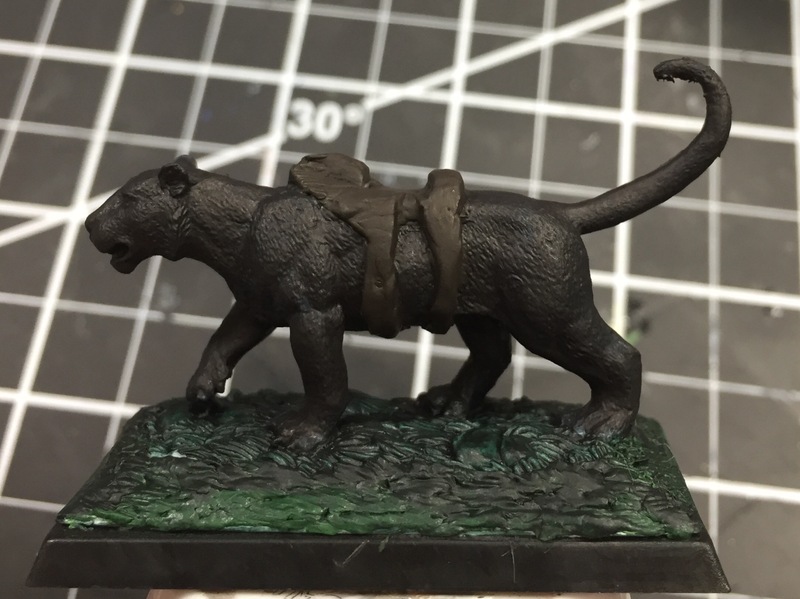 I'll be doing dry-brushing soon and a bit of freehand on the big panther. As for the Nightmare, maybe use the Reaper Storm Steed? I painted it as a Nightmare years ago. You could leave the wings of and make a saddle. I always love watching your work! I'm excited to see where this goes! Thanks! I’m thinking I can finish them up tonight or tomorrow night. 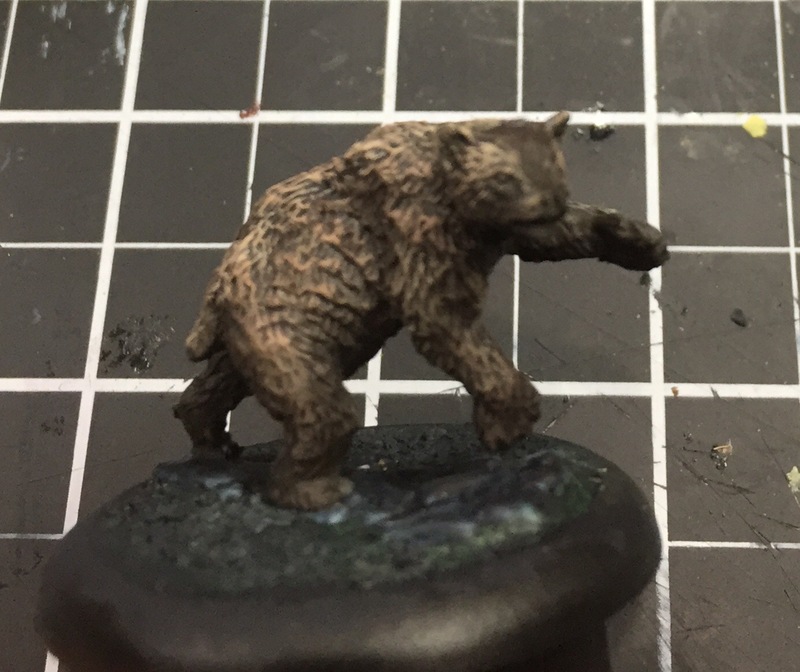 Animals are fun to paint! Haven’t felt like painting the last few days, but I did work on these guys for and hour or so tonight. You can take pride in your work..( pun intended).. 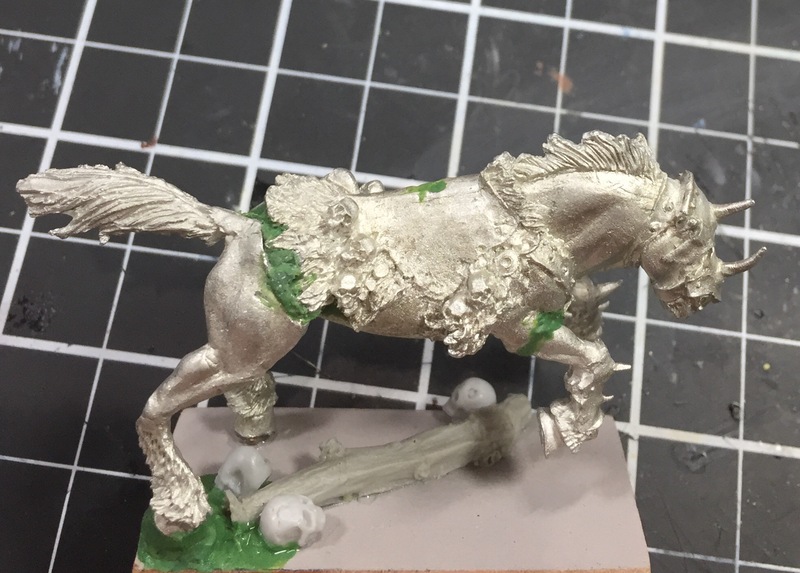 Started a couple more mounts: a horse from one of Tre’s kickstarters which will be painted up as a nightmare. 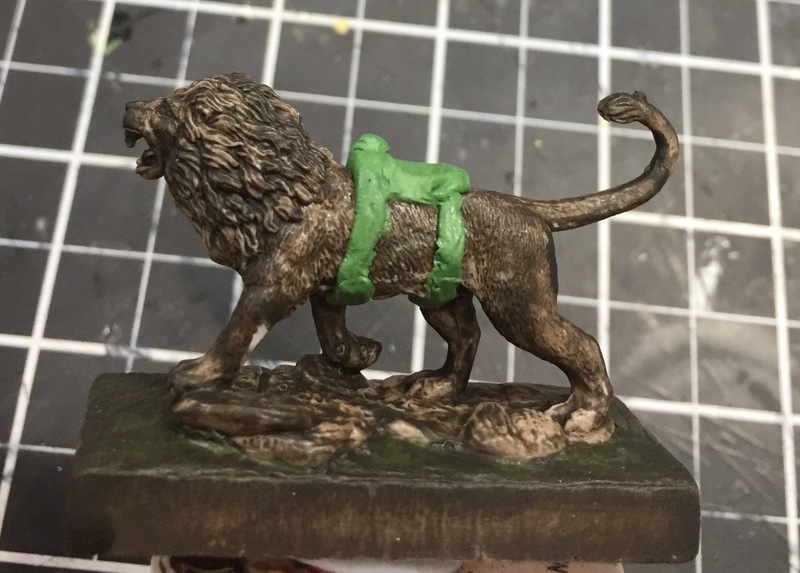 The lion I added a saddle to. The others will get more paint here soon. They are pretty close to being done. 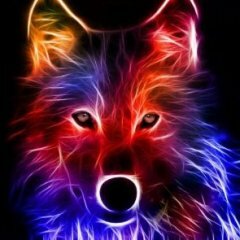 Hey guys, me again. This time I am back with a anti paladin I did after a few weeks off to pursue some other things I needed to get done. I really like how the colors turned out on this one. I was intending for a black suit of armor, but I ended up giving him a sort of Dracula red armor by accident. Only thing I feel i could of done different or improved on was to use less red and more of another color. However I don't have a clue what that other color would of been to be honest. The photos show the progression, black armor, painted with red. I wanted to give the appearance of black armor caked in the blood of his enemys, while making the cape clearly blood stained on the front where it made sense to be but not on the back. The shield I was aiming for the look of it and the sword being made out of bone but also caked in the well you know I don't need to keep saying it. 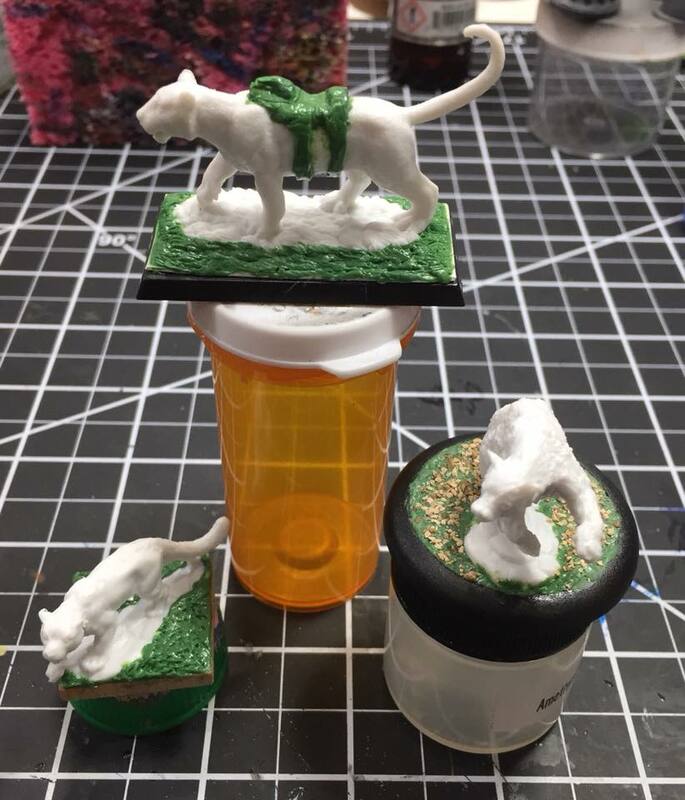 I feel like the base of the mini could of done with a better paint job but again I wasn't sure the color to use so I went with green grass since I feel like that would make the most sense. So one of my campaign encounters calls for a skeleton playing a violin. I had a few ideas on how I could go about accomplishing this. Modifying a skeleton miniature to hold a violin. Then I found this mini. I really wish they had a version that wasn't metal for this miniature though. The mini in question is supposed to be the boss of an encounter the players run into which leads into bigger plots later. In short though its supposed to be dripping a black ichor from the eyes to make it scarier and to emphasis the point "this is a powerful enemy" and not just some random skeleton bard. White base coat, followed by coloring the violin and leather straps brown, the metal armor black, i did a wash of brown followed by a black to give contrasting colors of dirt and mold. I also added a small amount of a lighter blue as a wash to the violin and bow to make it contrast ever so slightly from the rest of the mini and to hopefully give it a sort of magical look. That last part didn't succeed like I had hoped but it was a good lesson in what does and what does not work. I know the base needs something else to make it pop. This mini isn't "finished" yet for that very reason but im not sure how i want to finish the base of the mini. Probably some dirt. because dirt is always a good choice for a graveyard. 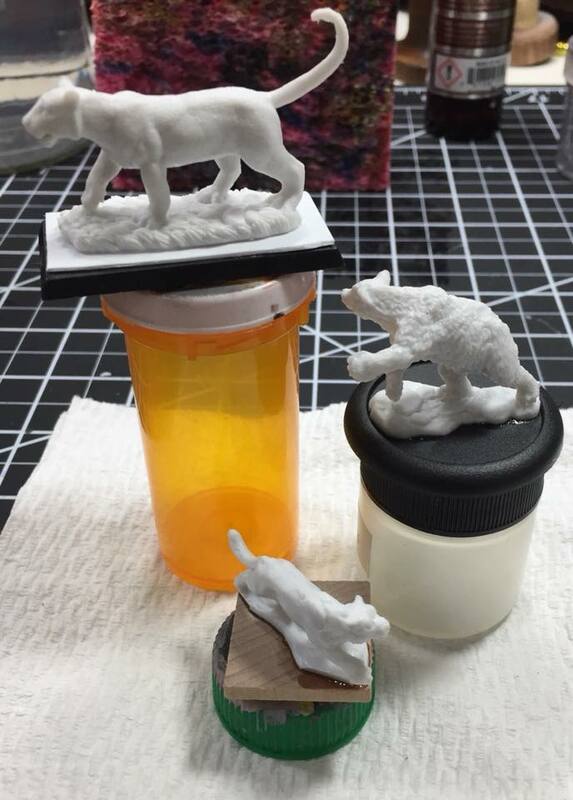 I really should change my name to the "painting horror minis channel" because its an unintentional theme. I decided to paint my kobolds I've been holding onto. I did the paint on them in about 4 hours which is pretty good for 6 miniatures I think! Also am I allowed to link to a video I made where I painted them?